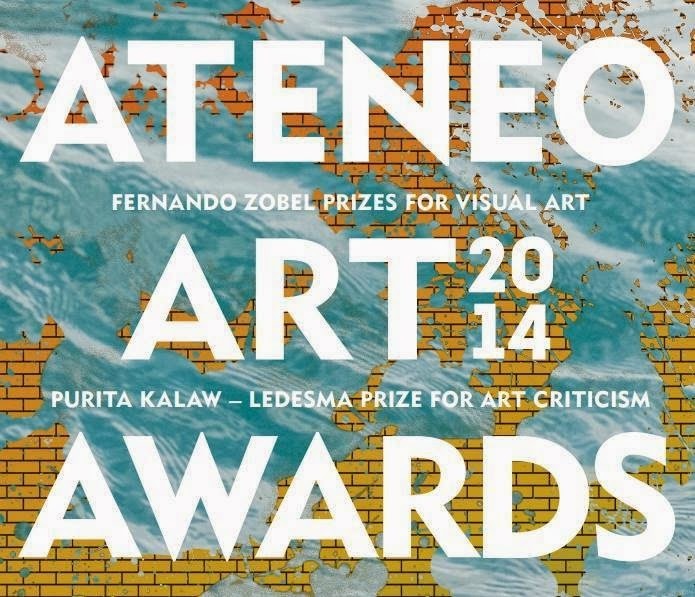 Winners of the Ateneo Art Awards 2014: Fernando Zóbel Prizes for Visual Art and Purita Kalaw Ledesma Prize for Art Criticism were announced in a ceremony held at the Grand Atrium of the Shangri-La Plaza Mall in Mandaluyong City on August 14, 2014 (Thursday). The annual recognition was greeted by a lively crowd in support of all the artists and their shortlisted exhibitions, and the art critics who joined the writing competition. Leslie De Chavez was named the recipient of the Ateneo-Liverpool Hope Creative Campus residency grant (Liverpool, United Kingdom). Charles Buenconsejo was named recipient of the Ateneo-La Trobe University Visual Arts Centre residency grant (Australia). Carlo Daoana is the first recipient of the Purita Kalaw Ledesma Prize for Art Criticism. He will have the opportunity to write a bi-monthly column in The Philippine Star, with an honorarium of PhP10,000 for each column (PhP20,000 per month) for 12 months. The Ateneo Art Awards 2014 exhibition will run until 18 August 2014 at the Mid-Level 2/3 East Wing of Shangri-La Plaza, and will continue at the Ateneo Art Gallery from 8 September to 15 October 2014. Catalogs containing the essays of the finalists for the Purita Kalaw Ledesma Prize for Art Criticism are also available for reading at the exhibition space. The Ateneo Art Awards is presented by the Ateneo Art Gallery, Kalaw Ledesma Foundation Inc., Shangri-La Plaza, Metro Society, and YStyle of the Philippine Star.